With echoes of Gregory Maguire's and C.S. Lewis' Chronicles of Narnia, author John Connolly introduces us to a cast of not-quite-familiar characters - like the seven socialist dwarfs who poison an uninvited (and unpleasant) princess and try to peg the crime on her stepmother. Or the Loups, the evil human-canine hybrids spawned long ago by the union of a wolf and a seductive girl in a red cloak. As war rages across Europe, David is violently propelled into a land that is both a construct of his imagination, yet frighteningly real - a strange reflection of his own world composed of myths and stories, populated by wolves and worse-than-wolves, and ruled over by a faded king who keeps his secrets in a legendary book...The Book of Lost Things. ©2006 John Connolly (P)2006 Recorded Books, LLC. This is one of those books that appeal to a specific listener. If I know my friend has a fondness of fairytales and enjoys rather warped retellings, I'd suggest this book. The ending was satisfying in its resolution, but it was perhaps a little too "tidy" for a book that was "out there." What does Steven Crossely bring to the story that you wouldn’t experience if you just read the book? His agility with regional accents from the UK is admirable. David's delicate state after his mother's death was heartbreaking and disturbing. John Connolly did a great job engendering pity for the boy's plight, particularly in the scene at the psychiatrist's office when David has a meltdown. The Crooked Man stands out as a particularly menacing bad guy. 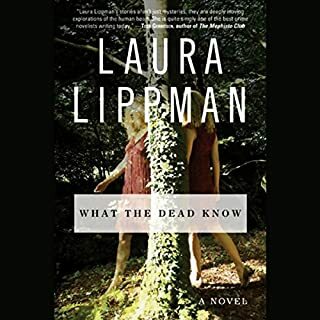 Towards the end of the story, the author pushed a little too hard with an overabundance of gory details and sickening anecdotes about the character's misdeeds. My finger hovered over the fast-forward button because the gratuitous detail became irritating. We already got it: he's a really bad dude. The Book of Lost Things portrays the healing power of stories and books. A bit like CS Lewis's Lion, Witch, and Wardrobe series and a bit like the movie Pan's Labyrinth, in that a child is pulled from the troubled real world into a dark, parallel fantasy world. 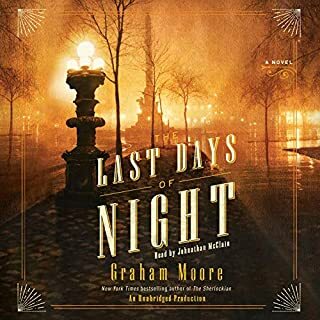 This book, though, finds a middle ground between the preachyness of the former and the creepiness of the latter, paying tribute to a few other classics as well. Connolly is imaginative, and I enjoyed his subversion of familiar fairy tales. Most are dark, but there's some Monty Python-like humor in a revision of Snow White and the Seven Dwarves, and I found a tale involving a not-quite-typical knight in shining armor to be moving in its simplicity. Unfortunately, the book gets caught up in its episodic structure, and the larger plot arc is less satisfying. David, who begins the novel in World War II Britain as a standard everyboy, other than for an odd ability to hear books talk, has little more personality by the end. 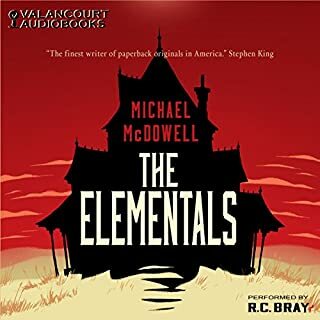 Still, Connolly creates an atmospheric world that's as foreboding but fun as the grim, old-fashioned tales of magic, wolves, and wicked tricksters that we loved as children, and it's a fine place for a visit, though perhaps not multiple reads. I love dark twists on beloved fairytales. I love hearing retellings and different POVs of stories I grew up on. This was almost too much. This book started off hauntingly beautiful and kept going deeper into the realms of slightly (if not more so) disturbing. The author seemed to take pleasure in describing how deplorable the antagonist was through descriptions of acts (even though we knew he was bad from the beginning). This book was fascinating in concept and the writing was amazing but the story... did not live up to it's potential. 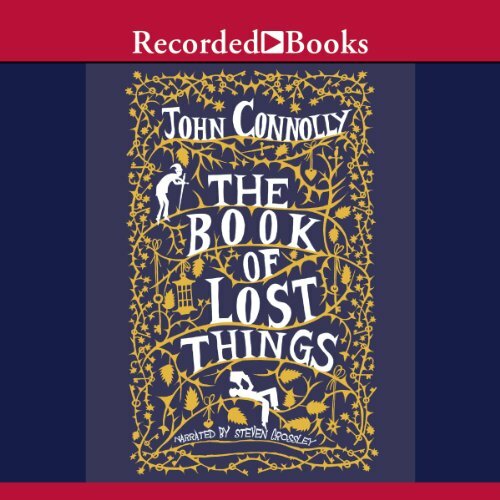 When starting The Book of Lost Things, I was so entranced by the writing style of John Connolly that I was eager to finish it just to start another. Unfortunately the second half of the book has killed that fervour entirely. I am not sure if I'll ever attempt another of his books but I guess we will see. 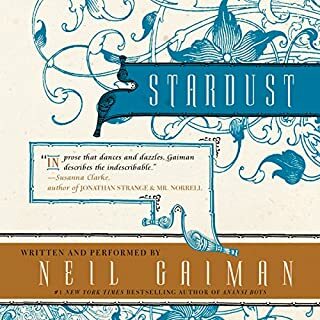 I have read this book several times, I have 2 paper copies, 1 cd and now I downloaded it from Audible. 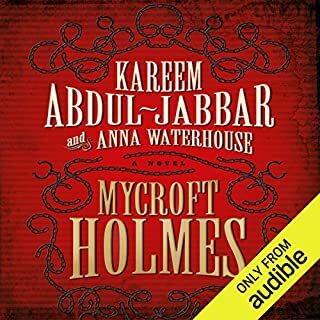 I got it from Audible so I could bookmark it and so it would take up less room on the mp3 than the cd does. Anyway on to the review. How do I tell you how great it is without telling too much? Hmmmmm, well, I think I will try to tell you just a few of the things that I loved about it. This story grabbed me from the first page, yes the first page! No joke at all about that. The way the words spoke to me was different than most books, it was special. The stories pace was detailed but fast, to me it was just the right mixture to make me want to keep going without many breaks. As the story starts it is about an older boy whose Mom dies and he has to accept a new mom and a new half brother. Somewhere around there he starts to hear books talking to him, a "crooked man" starts coming around and he finds a door to a secret land/world. When he enters the new world he finds one of the greatest and worst adventures that anyone could imagine. He meets some of my favorite characters that I have ever read in one book. Some of them befriend him while others scare him, lie to him, try to kill and even try to steal his soul. It is a coming of age book but also so much more. It is an adventure for some older teens but mostly for adults. It has a good ending so don't worry about that. All in all I believe most readers will find a reason to like this book. I usually read Koontz and Stephen King type of books but I now find this book among my all time favorites. The only thing that upsets me is that John Connolly has yet to write another story like this one! I will patiently wait. Thank you for reading my opinion! Set in England at the start of WWII, the 12-year-old main character, David is struggling with the death of his mother after a long debilitating illness. After his father quickly remarries and has another child, David feels abandoned and resentful. Always a reader, he turns to his books for solace and they in turn begin to talk back. He escapes into a secret world of fairy tales and embarks upon a quest to learn the truth about what really happened to his mother. This book is a mixture of coming of age story interspersed with fairy tales turned grisly. It is rare to find a book with truly creative concepts, but Connolly manages to take what could have been a fairly common format and make it unique. I will definitely be reading/listening to more of his work. I also thought the narrator was perfect for this story and added to the overall experience. This book follows the tradition of the Lion, the Witch and the Wardrobe and other stories of children going through portals into other lands. However unlike Alice in Wonderland or Never Ending Story and other uplifting tales, this is very dark. Fairy tales are twisted to reveal the worst of the heroes and the villains are torturously evil with acts described that belong in a Clive Barker style book. Ultimately it reads slowly and with a lot of suffering on the part of the characters David encounters while David is himself fairly undynamic. I came away feeling little in the way of anything hopeful or redemptive and feeling awful from the description of actions against children. This may be as the author intended, but I feel it's falsely categorized and should be seen as more horror than fantasy fiction. A bit hard to finish and little payoff at the end. Not very often does a book come along that warrants me to write a review. This isn't to say that the stories are bad but never has a book moved or impressed upon me such a feeling of fullness like this one. Written when sequels were becoming the rage, this book stands out as a lily among dandelions. It does not need a sequel to convey the message that we should all be grateful and cherish our loved ones. A true masterpiece, one that I know I will definitely share with my children and hopefully they will share to their children to come. Stories want to be told, and this is a good one -- twisted fairy tales intersperse the larger story of David and his trip into his own story. 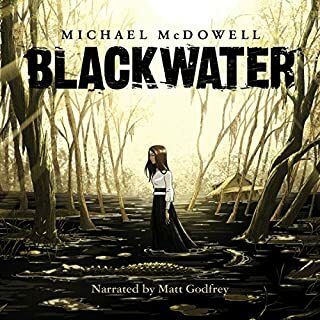 I found the narrator to be excellent; the story was suitable for both adults and young adults. This was such an enjoyable book, I could not put it down. If you like fairy tales with a twist of darkness, you will like this one. This was one of those tales that you never want to end. I just wanted to crawl inside it and stay. It was dark and creepy and lovely all at the same time. Beautifully written and read.